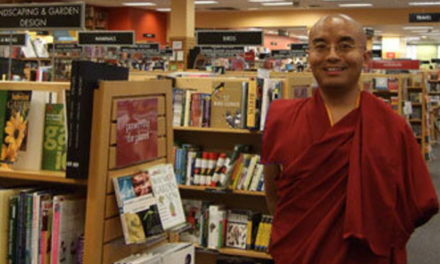 In 2003, Mingyur Rinpoche founded the Yongey Foundation to support his activities worldwide. These activities have included supporting the building of Tergar Monastery in Bodhgaya, supporting the young monks there, arranging for Rinpoche’s teaching tours and the publication of his books, The Joy of Living, and Joyful Wisdom. 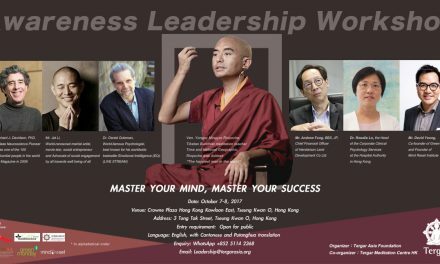 In 2009, the newly created Tergar International, took over the responsibility of supporting Rinpoche’s teachings activities and his many centers that make up his worldwide meditation community. 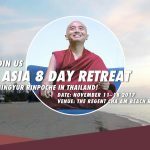 Mingyur Rinpoche asked that The Yongey Foundation turn its attention to his monastic communities in Tibet, Nepal, and India. 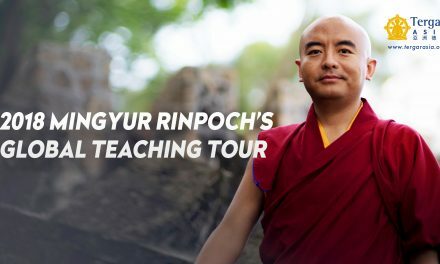 Mingyur Rinpoche is dedicated to the education and well-being of the monks and nuns of the ancestral monastery of the Mingyur lineage, Tergar monastery in eastern Tibet. 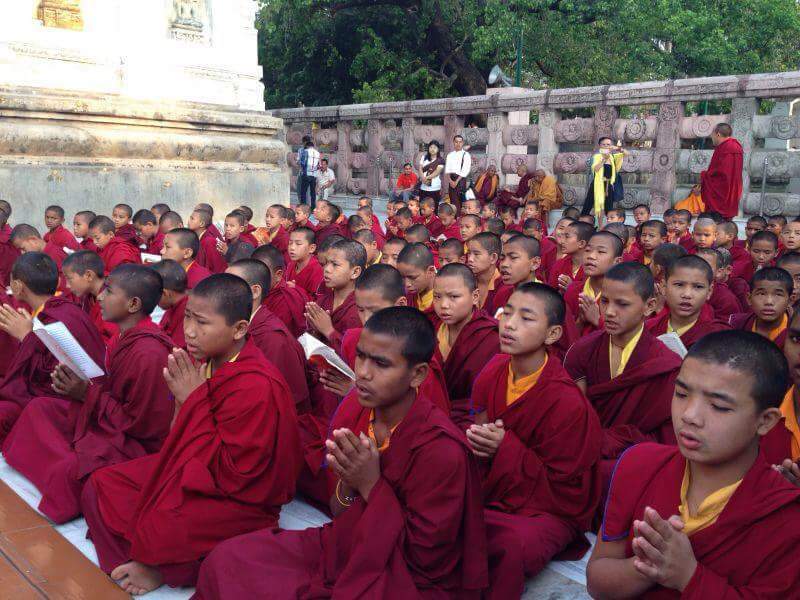 450 monks live and study at Tergar Monastery, of which some 150 of them are 10 -13 years old. 250 Tergar nuns live in the surrounding area near the monastery. Due to the isolation of the monastery, and the general poverty of the region, the families of monks and nuns have struggled to support the monastery. Rinpoche has asked The Yongey Foundation to do whatever it can to support monastic community there. 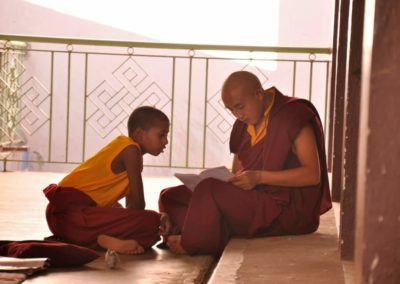 The immediate goal of The Yongey Foundation is to help the monks and nuns of Tergar Monastery receive the education they need. In 1999, Tai Situpa Rinpoche asked Yongey Mingyur Rinpoche to build a monastery in Bodhgaya, India. In 2000, he provided the first suitable piece of land to Yongey Mingyur Rinpoche for that purpose. The construction of Pal Tergar Rigdzin Khacho Shedrup Targye Ling was completed in 2006. 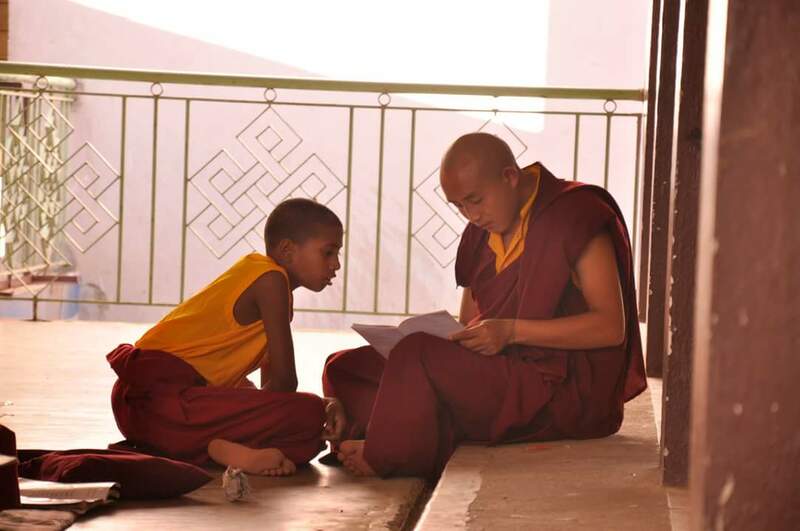 Since then until 2010, around 300 monks from India, Nepal and Tibet had come to study in the monastery. 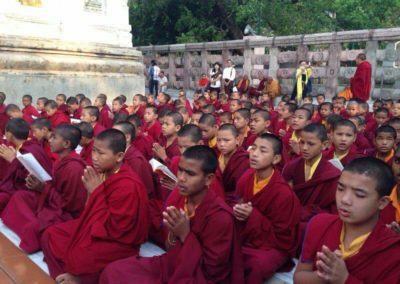 On upholding Tergar lineage which emphasizes the spirit of practice, even the youngest monks at the Bodhgaya monastery are practicing meditation everyday. 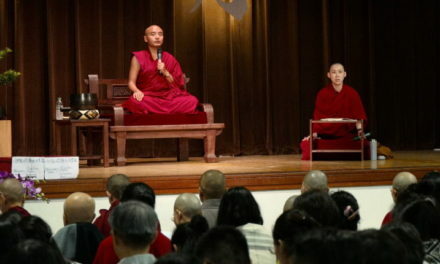 The traditional Buddhist curriculum has also been modernized to include basic science and other academic subjects. Tergar Monastery in Bodhgaya is responsible to host the annual visit of Gyalwang Karmapa during the Kagyu Monlam festival held every winter. Located on the outskirts of Kathmandu, Nepal, Tergar Lungrik Ösel Targyé Ling Monastery, is home to more than 200 monks from across the Himalayas. Tergar Ösel Ling was established by the late meditation master Tulku Urgyen Rinpoche, who later entrusted the monastery to two of his sons, Tsoknyi Rinpoche and Yongey Mingyur Rinpoche. 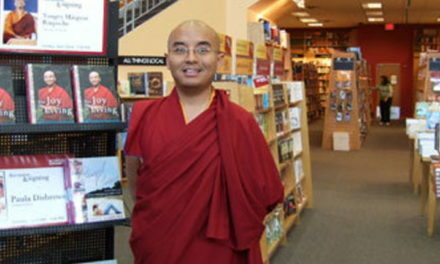 Tsoknyi Rinpoche has overseen the activities of the monastery in recent years. 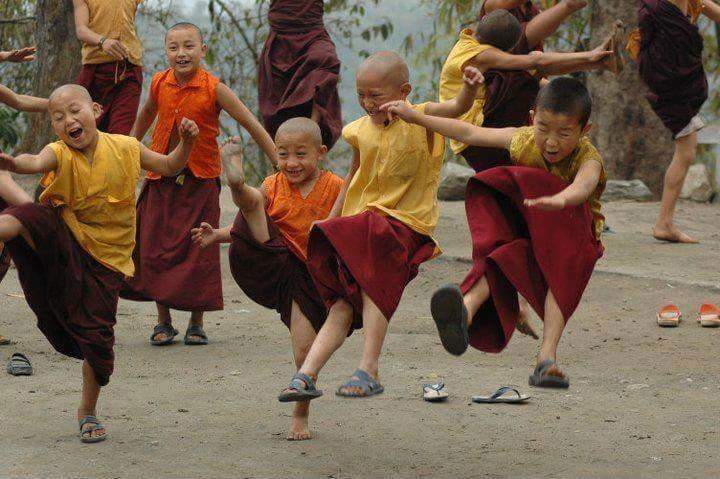 In 2010, Mingyur Rinpoche formally took responsibility for the monastery and opened a monastic college (shedra) there. 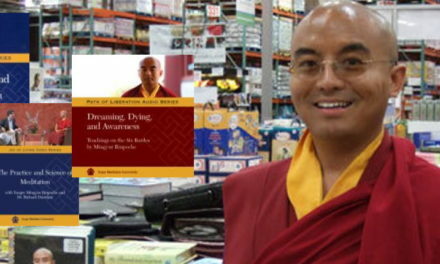 It has long been Mingyur Rinpoche’s sincerest wish to support the education and practice of the nuns in Tibet that follow his lineage. In addition to the financial support the the foundation has been providing, Rinpoche has committed to building a monastery for these nuns. 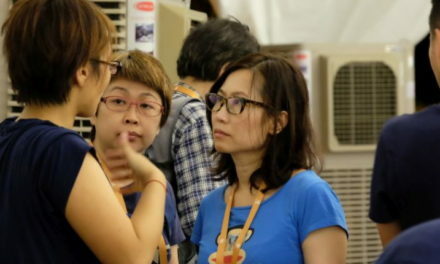 At present, however, the Chinese government is blocking any new development in the region. Consequently, these nuns, having no permanent monastic home, live with their families in the area around Tergar monastery. For their education and training they travel to Yachen monastery, a full day’s journey. Yachen monastery, until his recent passing away, was under the guidance of the great master, Akhyuk Rinpoche. Mingyur Rinpoche is committed to these nuns and will continuing to explore how to better support them. 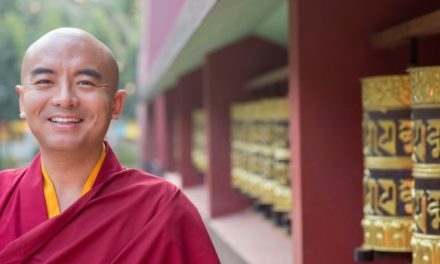 Please consider joining with a small group of friends in fulfilling Mingyur Rinpoche’s commitment to support the community of his ancestral monastery in Tibet, Tergar Monastery. Contact us at donation@tergarasia.org for more details.